Asociacion Basquetbol Ancud (Liga Nacional) signed 28-year old American power forward Kwame Alexander (201-109kg-90, college: Cal State - San Bernardino). 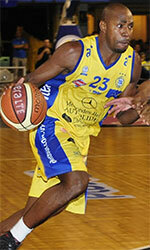 He played last season at Correcaminos in Panamanian LPB league. 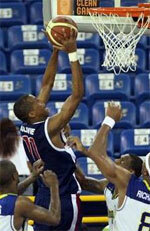 Alexander played in the final of Venezuelan LPB. He was voted Latinbasket.com All-Liga Centroamericana Honorable Mention in 2018. Alexander is quite experienced player. He has played in thirteen different countries on four different continents (Europe, Asia, Latin America and of course North America). Alexander has played previously professionally in Bosnia (Capljina Lasta), Cyprus, Finland (BC Nokia), Greece (Aiolos Trikallon), Japan (Aomori Watts), Philippines (NLEX Road Warriors), Qatar (Al Rayyan), Taiwan, Uruguay (Goes), South Korea (LG Sakers), Venezuela (Trotamundos) and Thailand (Hitech). He attended Cal State - San Bernardino until 2013 and it will be his sixth season as a professional player.